Searching Google for Media Blasting Macomb? Media Blasting Macomb means Supreme Media Blasting! We are the #1 choice in Macomb county, MI. for quality media blasting service. Can you imagine nearly 1,000 square feet of blast rooms and hand cabinets? How about paint, body and wood filler, oxidation and rust removal on just about anything without damage to the part? Sand blasting is a fast, but extremely harsh way to remove finishes and rust often leaving damage to the original item that can be un-repairable. That’s where media blasting (Walnut shells in this video) becomes the star of the show. Not quite as quick at finish removal in some cases, but a much more gentle and thorough removal that leaves all original parts in pristine condition. No warping of thin metals due to the extreme heat of sand blasting. 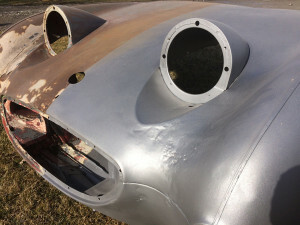 Just the finish and rust removed leaving all of the original part intact and ready to prep for finish application. Did we mention that Supreme Media Blasting also has pick up and delivery service for your parts and/ or project. Lawn furniture to big for your car? No problem! Yard decoration to heavy to lift? We have you covered. Railing hang to far out of your truck? Supreme Media Blasting to the rescue! Supreme Media Blasting is just a phone call away! Just a few of the items that you might like to have media blasted would be heating vent covers or radiators, railings, bike frames, outdoor furniture and so much more. 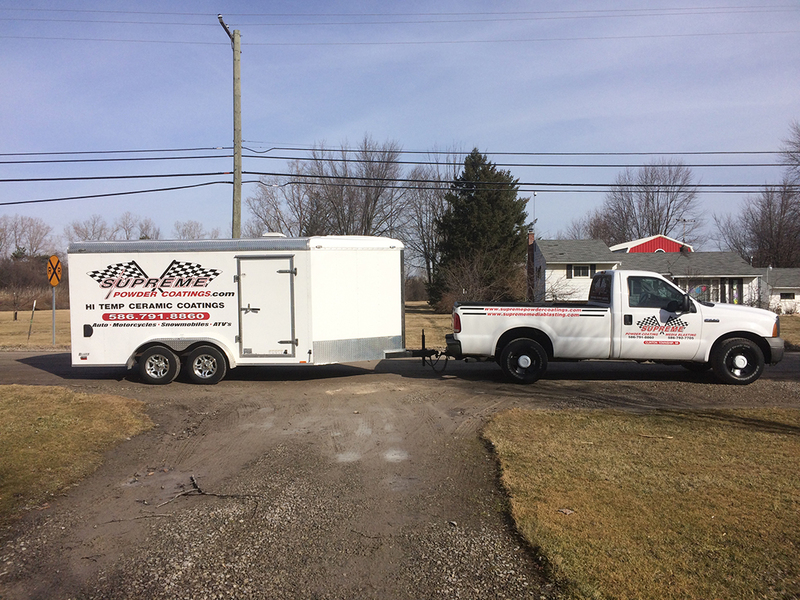 Give us a call now at 586-792-7705 and let’s get your project prepped and ready for that beautiful new paint job! Cars – Railings – Industrial Projects – Lawn Ornaments & Furniture – Any Project!